Charlie O'Connor moved to Williston, North Dakota from Colorado at the peak of the town's oil boom. It's been a decade since the Great Recession sent unemployment and foreclosures soaring in most parts of the country, but even during dark times, there was a bright light fueled by an oil boomtown in North Dakota. In Williston, North Dakota, pumpjacks stand tall in bright yellow sunflower patches and work in rhythm amid vast fields of wheat atop the Bakken oil patch in a town that’s nestled in the small northwest corner of the state just 80 miles from the Canadian border. Oil helped inoculate Williston from the effects of the recession felt deeply elsewhere throughout the United States. The oil patch started out as a lure for young men looking for work, but the abundance of jobs there led to droves of skilled workers, with families in tow, to plant what the city hopes are permanent roots. 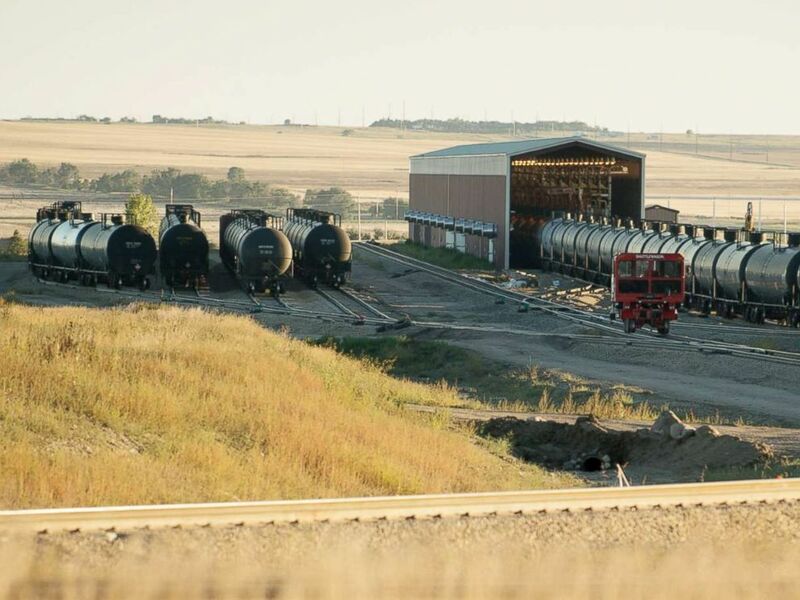 Tank cars are seen at a transfer station called a "Colt Hub," operated by Inergy Crude Logistics, waiting to be filled with crude oil from trucks coming in from the Bakken oil fields in the small town of Epping, N.D., Sept 15, 2013. 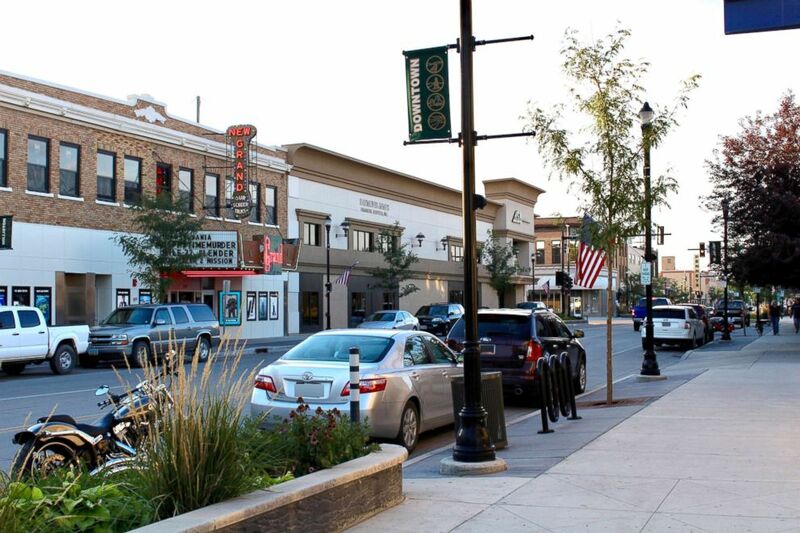 Since 2007, Williston's population has tripled from 12,000 to 36,000. City administrator David Tuan told ABC News that the opportunity for work was the stark difference that set this oil town apart from the rest of the country during the recession. "[Many think] it’s cold and it’s barren and there's nothing up here and that’s certainly not true," Tuan said. "There’s a lot of activity, there’s a lot of opportunity." He said that Williston's steady growth since 2008 has perpetuated increased demand for more workers, like Charlie O’Connor. O’Connor was one of the tens of thousands of people who flocked to Williston to escape the economic pain. 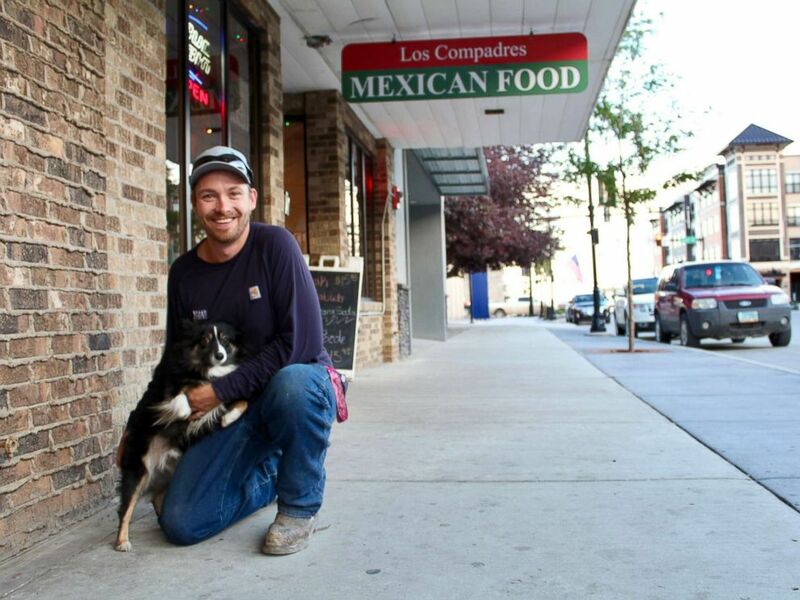 With just four months left before earning his associates degree in Colorado, O'Connor purchased a one-way Greyhound bus ticket to Williston and never looked back. "I had a backpack full of clothes and 20 bucks in my pocket and a couch to sleep on when I got here," O’Connor said. "I had a kid coming in two months so I had to make a decision and I couldn’t wait four months to get out of school, another six months to get some money rolling in. So I chose to come up here." "It was booming so bad there was no housing." "The Walmart parking lot was packed with campers and people sleeping in their cars,” he continued. “Even in the wintertime people were sleeping in their cars cause there was no housing." On top of wages, O'Connor said the company he works for also offers tax-free stipends. He started out working on an oil rig and worked his way up to a welding inspector, and he receives an additional $115 per diem on top of his paycheck. "They have to pay very competitively to get people to move here, so there's an abundance of high-paying jobs," he said. "It’s almost surreal that it’s like another country almost." But O’Connor said the draw of the oil field jobs made several other businesses in town suffer. The local Walmart, for example, didn't even have the resources to operate normally, he said. "There'd just be pallets in the aisles cause there wouldn’t be employees to stock the shelves," O'Connor recalled. "It was almost unlivable. If you wanted to eat you’d better eat at home or you better be ready to sit at Applebee’s for two and a half hours." Recovery has been uneven from state to state since the Great Recession began in 2008. The Pew Research Center found growth has been fastest in North Dakota, largely due in part to oil. The sum of all personal income here expanded at six times the rate of last-place Connecticut. An undated photo of Downtown Williston, North Dakota. The median yearly income for households in Williston is more than $102,000, according to the Williston Economic Development office. Early on, O’Connor said, the influx of newcomers were mostly "men, not families," which created a disproportionate ratio of men to women. "People used to joke there’s a woman behind every tree in North Dakota cause there’s no trees here," he said. But now, "families are moving in, husbands are bringing their wives and kids," said Christine Clayton, the general manager for the Williston Brewing Company. Clayton came to this North Dakota town three and a half years ago from Colorado. She said the homely restaurant and brewery offers more than 40 beers on tap and is constantly packed. "We’re usually on about a two-hour wait," she said. She moved here from Colorado and arrived at the tail end of the town’s boom. "It was just starting to decline by 2016 and now it’s all growing back up again, which is really nice." Tuan, the city administrator, said the number of actively-drilling rigs peaked in 2012 and remained steady until oil prices dropped between 2016 and 2017. But the downturn in oil didn’t slow down Williston. Tuan said the town saw a lot of "positive growth" with an increase in families, kids, school enrollment and birth rates at local hospitals. "We saw growth in small business, we saw growth in people transitioning into permanent housing, we saw growth in terms of a maturing of the workforce where some temporary workers did leave, but the ones that stayed had families," he said. They have to pay very competitively to get people to move here, so there's an abundance of high-paying jobs. It’s almost surreal that it’s like another country almost. As oil consumption climbed back up, production soared to new record highs, Tuan said. “The reliance on the energy industry has helped us, but we’re also evolving a little bit," he said. "You see a lot more diversity in employment, there [are] a lot more job opportunities in our schools and hospitals, there [are] a lot more job opportunities for attorneys, people who have an engineering background. So we’ve really, I think, hit that tipping point where there’s a diversity that didn’t exist [before.]" Tuan assured that the "door is open" for new people to come to Williston. "We need as many qualified and enthusiastic people in this community as possible,” he said. “People in all trades and all walks of life coming here, diversity is something we’re very keen on. Don’t stop coming to Williston or North Dakota, we need more people." Among boomtown developments in Williston are plans and construction of a brand new commercial airport, to replace the remote location that has been crowded out of its once spacious land, which is now bustling with new businesses and housing. Airport director Anthony Dudas, 31, moved to Williston, North Dakota from Minnesota and is overseeing the new commercial airport construction. It's the only commercial airport in the country being built from the ground up. 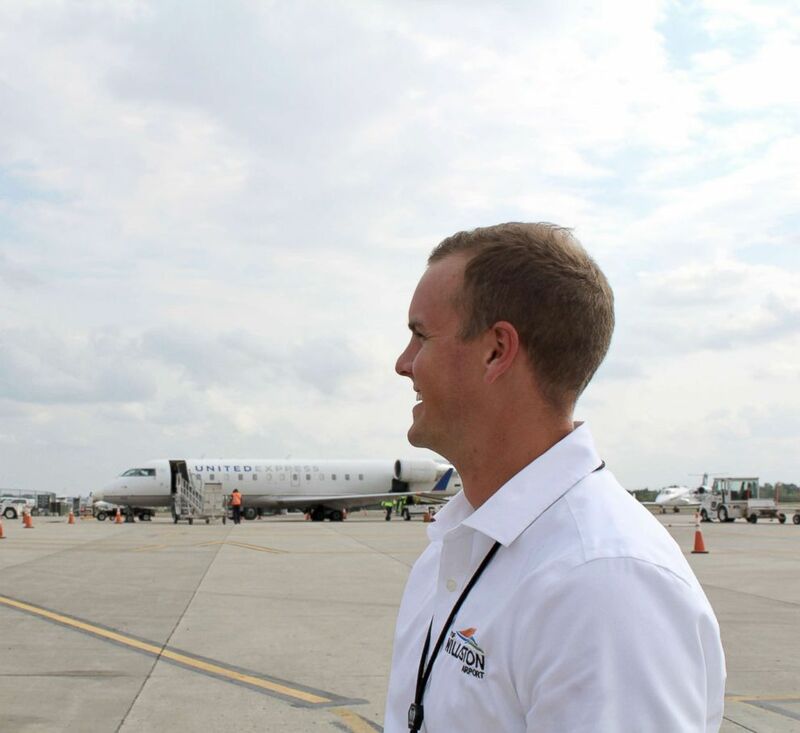 Anthony Dudas, at just 31, is the airport director overseeing the project. "I moved here from Minnesota and they felt the recession deeply from 2008 until relatively recently," Dudas said. "And that's something that did not occur in the least bit in Williston -- the energy industry brought in very high paying jobs and they needed a lot of skilled labor to come in here and accomplish what they needed and continue to need." "This is the largest project that the city of Williston has ever taken on," Dudas said. Crews have removed nearly 2.5 million cubic yards of dirt to even out the vast agricultural site for the new airport. "I see [an] opportunity for service to our community," Dudas explained. "We can accommodate what needs to happen for continued economic growth and quality of life increases for our region and our community." The new airport is part of the city’s attempt to attract more industries to the area. "We're building functional right size facilities to make sure we can accommodate the airline industry and their growing aircraft fleet sizes -- and any other industry that may come to our doorstep," he said. City officials hope is that the community continues to expand beyond oil and becomes more diverse as more workers find a reason to bring their families and make long-term commitments. The median age there is 30, according to the Williston Economic Development office. Those 30-year-olds are having lots of kids. "There may have been a slight reduction in those that had never intended to stay here but those that did stay anchored themselves in and now we're seeing even more growth from those that stuck around,” Tuan said. In Williston’s birthrate increase, Katie Kringen found an opportunity. She’s a speech pathologist who opened Chatter which provides all sorts of pediatric therapy. Kringen started her small solo practice in the corner of her husband’s motorsports showroom, amid rows of dirt bikes and fishing boats. 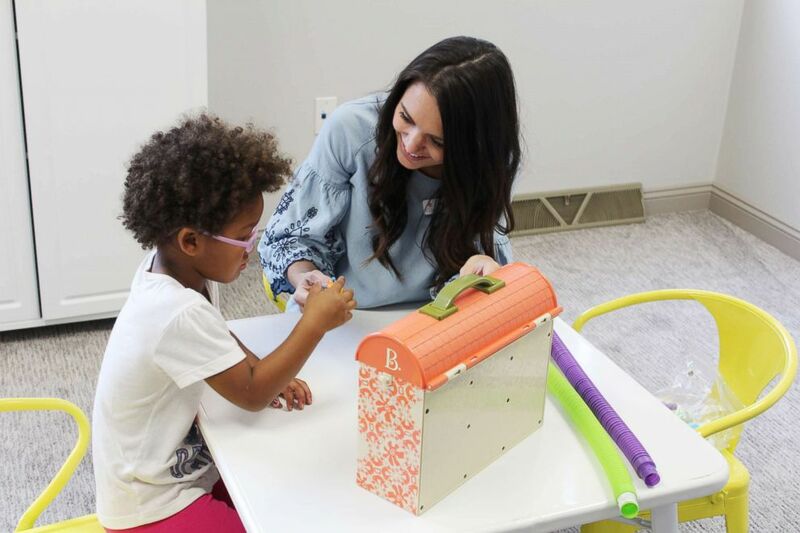 PHOTO:Speech pathologist and founder of Chatter, Katie Kringen works with children at her solo practice in Williston, N.D.
"I bought this building cause it looks like a fun place for kids," Kringen said of the workspace. She bought the building, opened Chatter and now Kringen and her staff of 15 therapists serves 250 kids a month. "This was the plan but it kinda worked out better than I expected and faster than I expected," she said. "The community really needed something like this -- the quantity of kids who need help here is a lot,” Kringen added. “My plan is to never have a waiting list for kids cause we get super busy but no child should have to wait for help." Kringen said she and her husband fell in love with this community immediately and connected a lot with the younger professionals in town. "People think this place is still how it was when it was booming: no homes for anyone and it's just busy and dirty -- [but] things are still changing and developing, that excitement is here, it's my kind of town," she said. It’s that vibrant feel, and the steady lucrative work, that drew O’Connor initially as a solo trip, and since moving to Williston, he has now brought over his fiancé, four kids and parents. O'Connor said he has seen a change for the better in families who come and make it their hometown. "They want people to move here with their families. You can definitely tell it's an oil town, but there's a lot more to offer here than an oil town," he said.